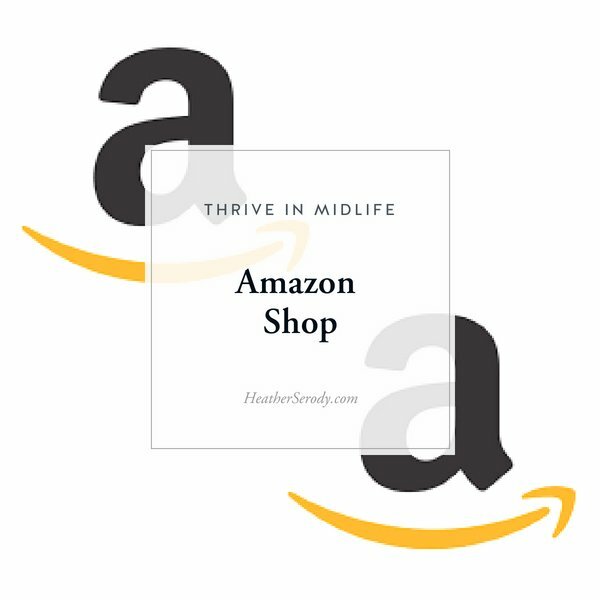 I'm super excited to share with you The Thrive In Midlife Amazon Shop page. Amazon has finally allowed me to categorize all of my recommended products on one page so that everything is easy to find. The shop contains lists for pantry and grocery, supplements, chocolate, nuts, baking supplies, sweeteners, condiments, spices, and more. All of the items have been screen and sourced by me to be keto approved. I've done the work so you don't have to. I'm constantly adding new items and finding the best deals for you. Hop on over to the page now and stock up on those keto essentials that make sticking with this lifestyle easy. If you have any suggestions feel free to email me at Heather [at] HeatherSerody [dot] com.